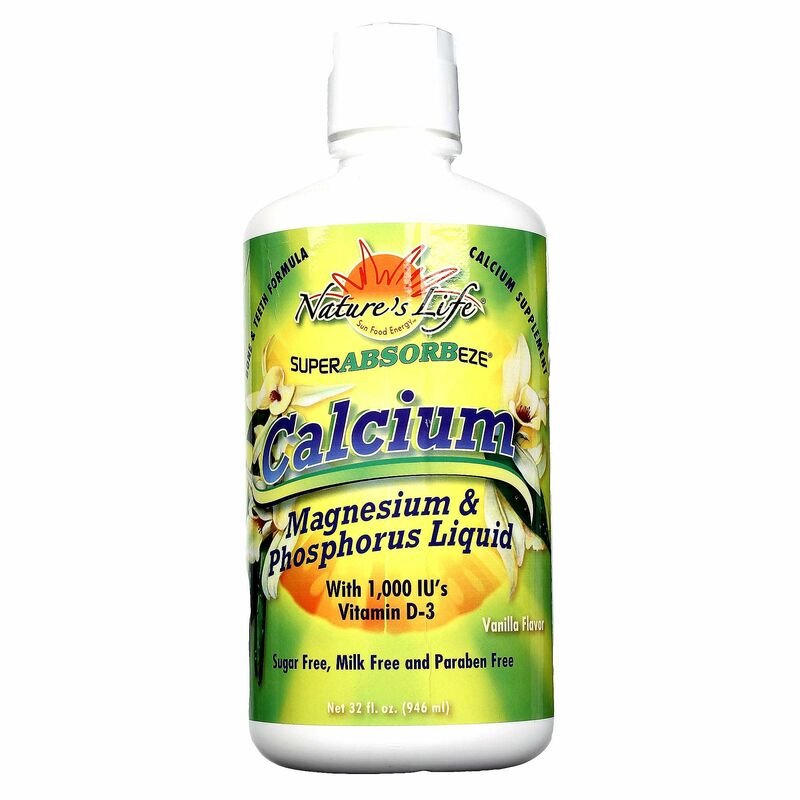 Calcium, Magnesium and Phosphorus Liquid from Nature's Life provides the key vitamins and minerals your tissues need without pills to swallow. Calcium is needed by the bones and teeth to maintain strength and density. 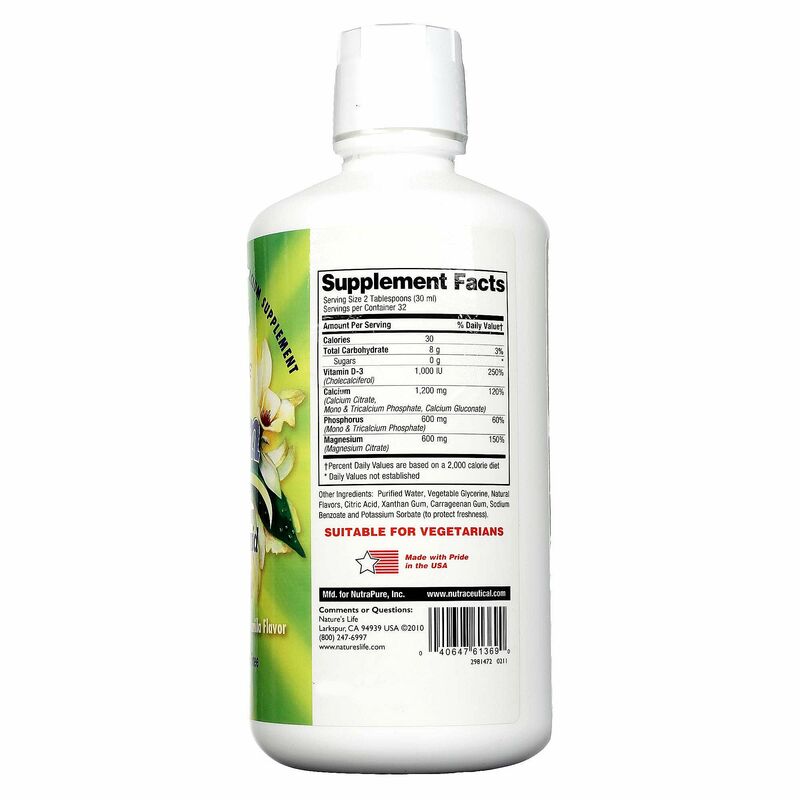 Magnesium, phophorus and vitamin D support calcium absorption as well as growth and development of the bones and teeth. 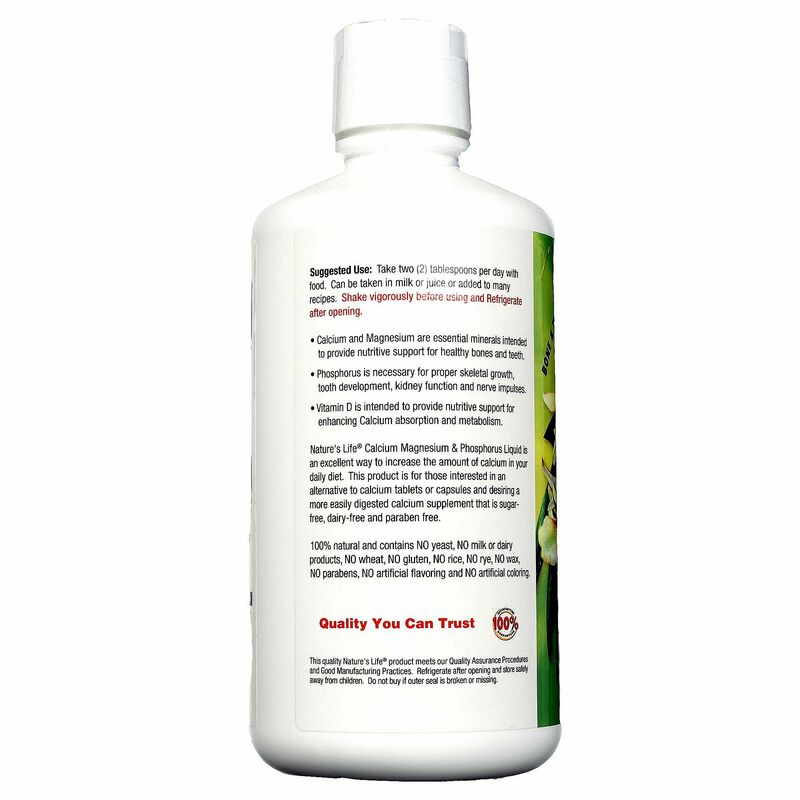 Nature's Life's Calcium, Magnesium and Phosphorus Liquid also supports proper nerve, muscle and kidney function for continued health. 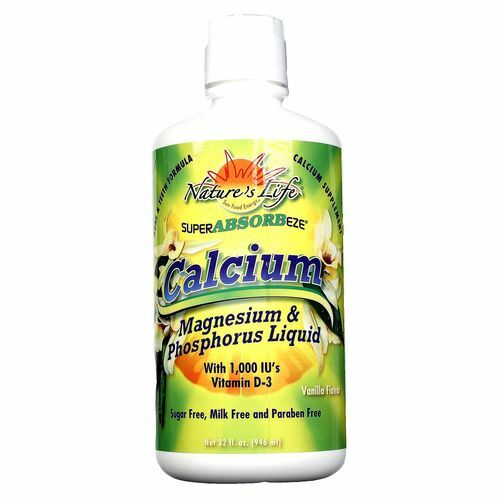 Calcium, Magnesium and Phosphorus Liquid from Nature's Life has a light, natural vanilla flavor and can be added foods or liquids for extra calcium. Try it today at eVitamins! Notas: Shake vigorously before using. Refrigerate after opening. Contains no yeast, no milk or dairy products, no wheat, no gluten, no rice, no rye, no wax, no paraben, no artificial flavoring and no artificial coloring. 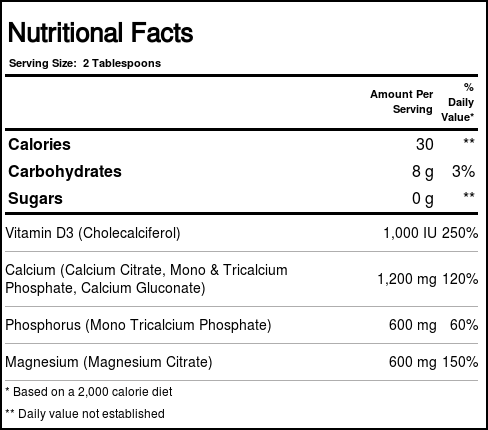 Recomendações de uso: Take 2 tablespoons per day with food. Can be taken in milk or juice or added to many recipes.